Want to look amazing on your Special Day? Need A Professional MAC Make Up Artist? Look and feel beautiful in the comfort of your own home! 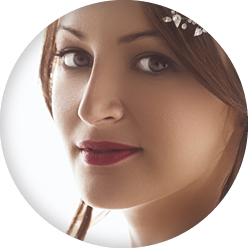 Brighten Beauty provide a friendly and prompt mobile beauty service, offering high quality beauty treatments and bridal make-up to customers across Brighton and the surrounding area. We have a range of beauty treatments designed to make you look and feel special and everything is done in the comfort of your own home. We visit you when it is best for you and whether you are attending a wedding, are the bride herself or you just fancy a makeover, our beauty specialists can help. From manicures to bridal make-up, we provide the complete mobile beauty service. As expert beauticians, we offer helpful advice and guidance based on years of experience and expertise. When it comes to make-up, nail care and beauty treatments, we know what we are talking about. 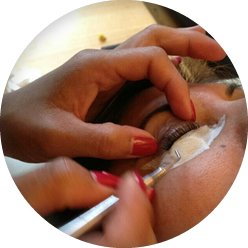 Our mobile beauty treatment service is carried out entirely at your convenience. We will visit you whenever you need us to and everything is done in the comfort of your own home to make you feel as relaxed as possible. Our beauticians specialise in providing mobile beauty treatment services for brides anxiously awaiting their wedding day. We cover everything from bridal make-up to manicures. We even look after bridesmaids too. For more information, please see our Bridal Make-up page. Based in Brighton, we offer a comprehensive mobile beauty service that enables us to help customers look and feel great throughout East and West Sussex. We have visited many customers in Worthing, Hove, Brighton, Newhaven, Seaford, Falmer, Lewes, Ringmer, Haywards Heath and Burgess Hill. Why not give us a call today and book your individual and private beauty appointment? I will answer any questions you may have and provide honest and impartial advice.